Want to buy your mom some fine jewellery this weekend? 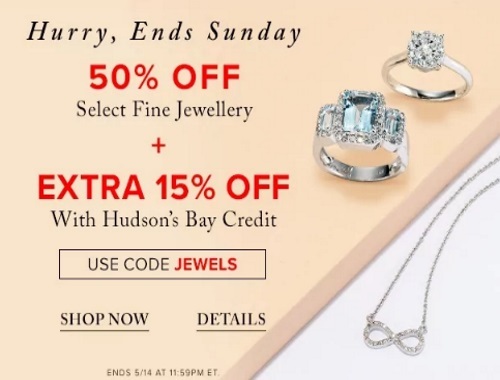 Save 50% off select fine jewellery plus an extra 15% off if you pay with your Hudson's Bay credit with the promo code JEWELS. Offer is valid in-store and online until Sunday, May 14, 2017.